It is the year of FROZEN in our house. My girls are doing cartwheels over the announcement about a FROZEN 2 in the works and they flipped over FROZEN Fever. 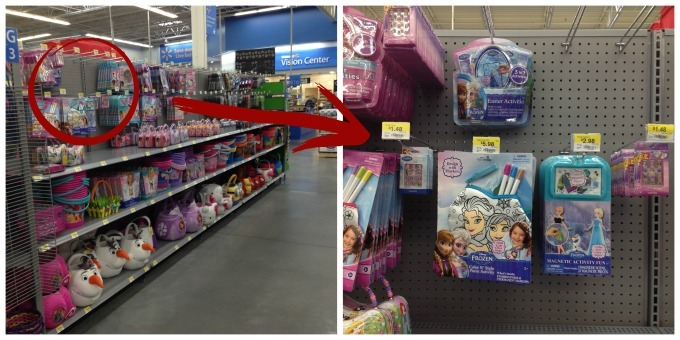 Needless to say we will be having a FROZEN themed Easter at our house this year. 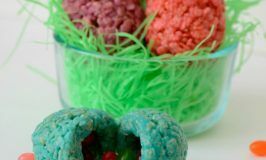 Growing up, Easter was a big deal at our house, my mom and dad went all out with Easter baskets and elaborate egg hunts, it was almost as good as Christmas at our house. I had such big shoes to fill that for awhile I didn’t even attempt to make a big deal about Easter, we would dye eggs, they would get little Easter baskets with some treats and we would have a small egg hunt if the Easter Bunny remembered to swing by our house (AKA: When I wasn’t pregnant or nursing a newborn). 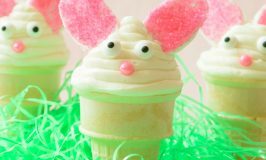 Now that my kids are older, I’m finally starting to feel my stride when it comes to making Easter the production that I remember as a kid. Last year we made elaborate eggs for the Easter Bunny to hide, it was a step in the right direction. 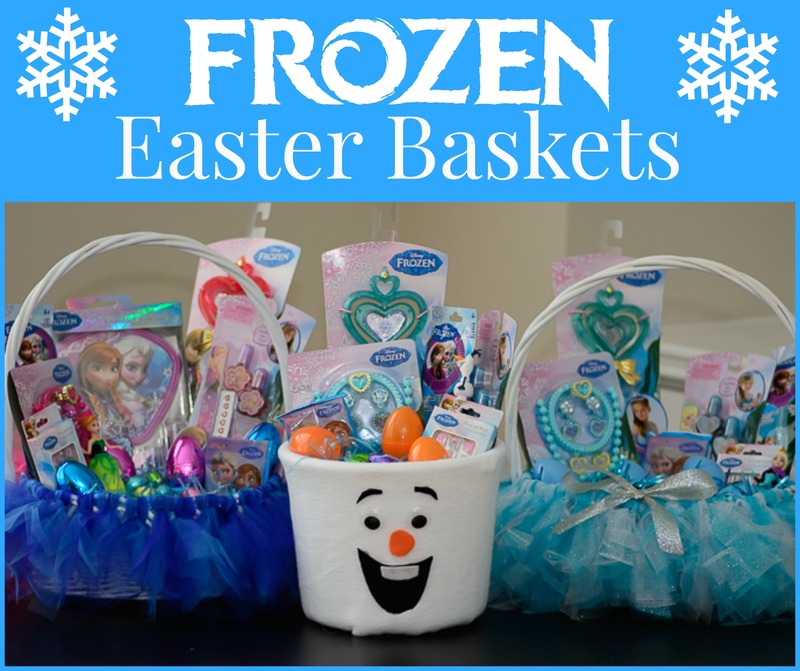 This year it is the year when I finally pull it together and create and Easter that my kids won’t forget, starting with these adorable FROZEN Easter baskets. 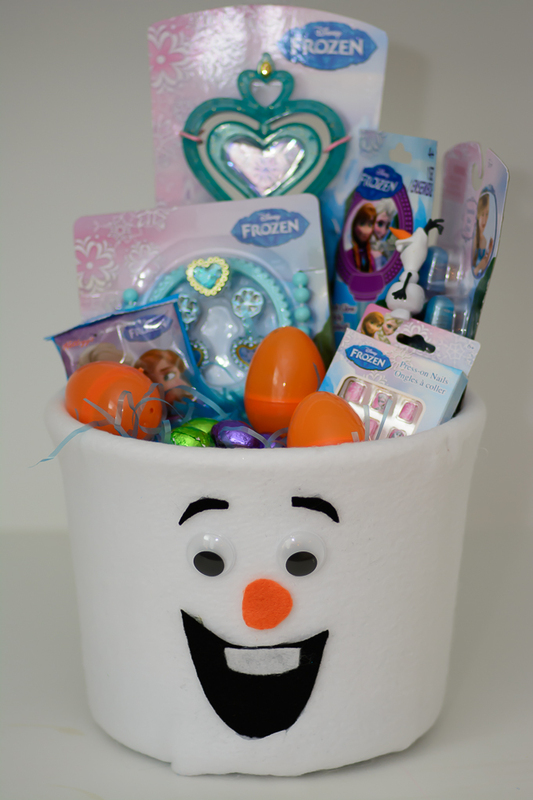 My 3 littlest are in love with Anna, Elsa and Olaf so I decided to create adorable baskets for them with all sorts of FROZEN paraphernalia that I found at Walmart. 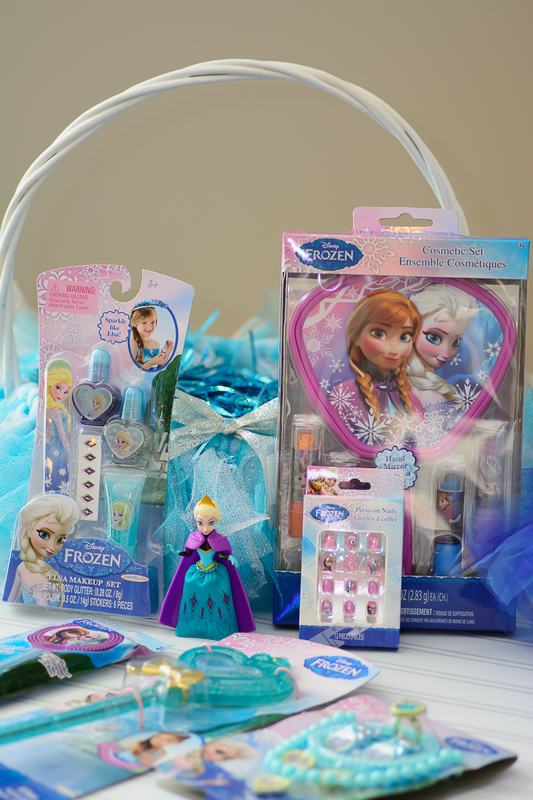 Some of the goodies include, an FROZEN mirror and press on nails (found in the Easter section) that I know they will LOVE. 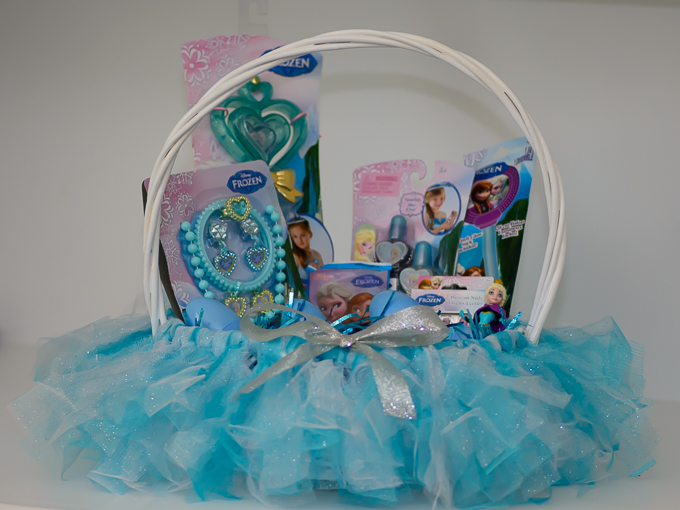 To showcase these treats in a perfect way I made Anna and Elsa tutu baskets for my girls. 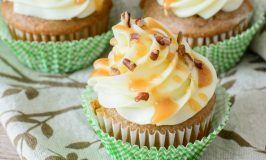 They were so easy to make! 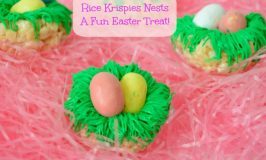 You can use any Easter basket, I’m sure you have a few around your house like I do. For Anna I picked up some blue and pink tulle and using a lark’s head knot I tied the tulle around the basket. I made the front blue and the back pink (like her cape). 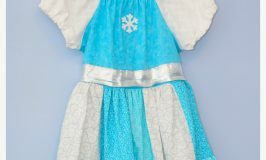 For Elsa I used the same technique only I used sparkly blue and white tulle to recreate Elsa’s signature style. Olaf was a bit different, I used a washed out gallon ice cream bucket, I used some thin white fleece and covered the bucket using hot glue to attach the felt to the plastic. I secured the felt to the bottom and tucked the remainder inside the bucket. Then I used the face directions found here to create Olaf’s face. 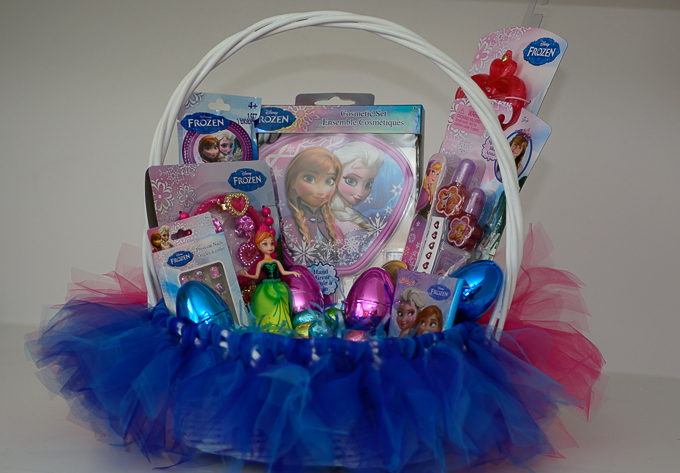 I know that my littles are going to be thrilled with their baskets and maybe, just maybe, I can finally fill my mom’s shoes when it comes to knocking it out of the park at Easter. 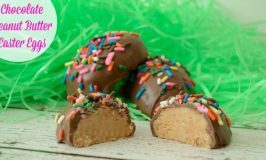 I would love for you to share what you are doing to make Easter special for your kids this year?